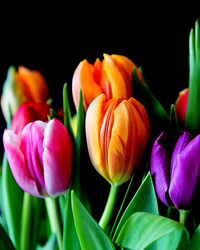 Obituary for Beverly Kamery Battin | DellaVecchia, Reilly, Smith & Boyd Funeral Home, Inc.
Born in Olean, New York, daughter of the late J. Wendell and Marion Kamery, wife of the late Thomas A. Morie, and devoted wife of Joseph L.M. Battin, Beverly succumbed to her seven-year battle with dementia on February 4, 2019 at Neighborhood Hospice in West Chester, PA. An accomplished musician in voice and piano, Beverly began singing at age five on a local radio station in the rural town of Olean, New York. Recognized in High School for her musical ability, she was accepted at the Julliard School of Music in New York City in 1949. At Julliard, she studied opera under the guidance and tutelage of renowned professor—Marion Szekely-Freschl. As a mezzo-soprano with the ability to sing in German lieder, Beverly performed in school concerts with fellow student, Van Cliburn, studied along-side Shirley Verrett, and toured throughout Europe with Professor Szekely-Freschl. While attending the Julliard School of Music, she also began her modeling career as a Conover model and participated in runway shows in New York City. In 1958, she married Thomas A. Morie, a flight captain in the US Air Force. Stationed at Dover Air Force Base, she lived in Dover, Delaware and later gave birth to a daughter, Tara. In 1962, she moved to a suburb of Chicago—Wayne, IL where her husband worked as a sales manager at Chilton Publishing Company. 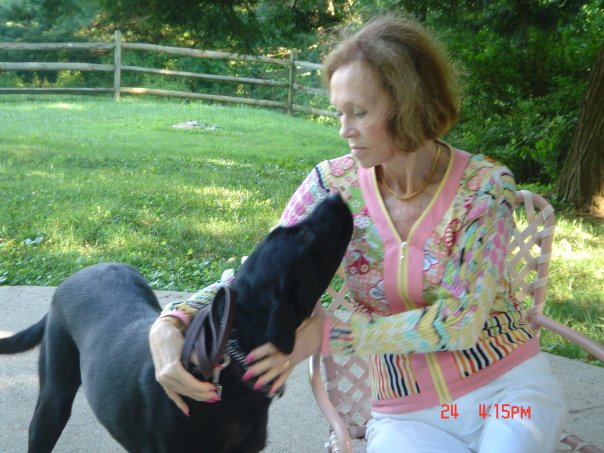 Throughout the majority of her life, Beverly was an avid horsewoman and equestrian. She owned several, American Saddlebred horses, occasionally showed them and learned how to drive horses in the fine harness discipline. She was a member of the Dunham Woods Club and Equestrian Center in Wayne, Illinois where she also played tennis. In 1970, she moved back East with her family outside of West Chester, PA. where she resided for the remainder of her life. In 1974, Beverly was Assistant Manager of the Chester County SPCA. There, she turned her life-long love of animals into a greater cause toward rescue and adoption. An accomplished tennis player, she was a member of the Kennett Square Country Club and Greenville Country Club where she competed in local tennis tournaments as a team member. In 1978 at age 45, she tragically lost her first husband, Thomas A. Morie, former Vice President of Chilton Company. Widowed at a young age, she was fortunate to find love again and married Joseph L.M. Battin in 1984--life-long resident of West Chester, PA and sales executive with the DuPont Company. Beverly and Joseph remained married and lovingly devoted for thirty-five years. Joseph was her caretaker at home near West Chester, PA until she required the medical capabilities of Neighborhood Hospice. Beverly is survived by her husband, Joseph L.M. Battin, daughter, Tara Morie Schelling, son in law, Mark H. Schelling and step daughters, Brenda Battin Cianciosi and Betsy Battin Nordell. A private Graveside was held. In lieu of flowers, please place a gift in remembrance of Beverly to the Brandywine Valley SPCA, 1212 Phoenixville Pike, West Chester, PA 19380.